Tablet sales have been declining in recent years due to the growing popularity of big screen smartphones. However, a large number of people still prefer tablets for productivity, entertainment, gaming, and portability. Some people have even ditched their laptops to rely entirely on tablets for work and entertainment. 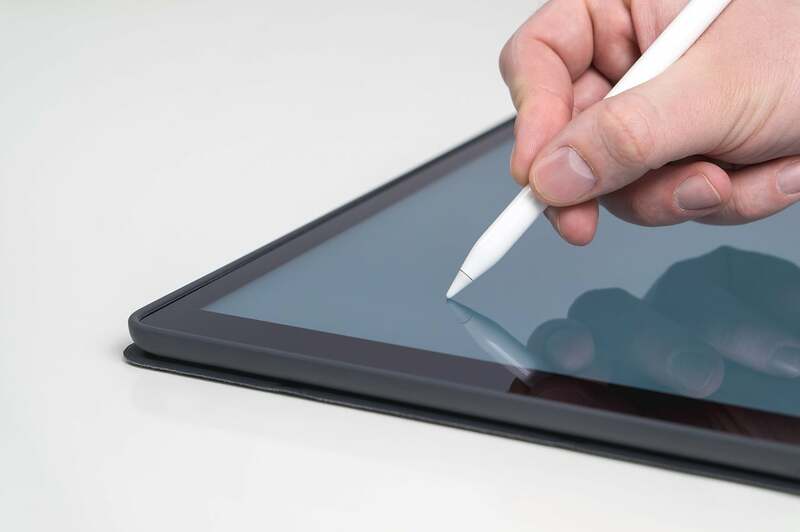 Let’s take a look at the top 10 best tablets in the world right now. We have taken into account factors such as performance, display quality, price, and battery life for this ranking. The market is flooded with tablets in different sizes, running different operating systems, and at different price points. Some are marketed as laptop replacements while others are designed for media consumption. You have plenty of choices depending on what you want to use your tablet for. While Android dominates the smartphone market, it’s Apple that rules the tablet market. Microsoft has also tasted success with its Surface series of tablets. The Surface Go is an affordable tablet and mini laptop that you can carry around when traveling. Though it has a starting price of $399, you have to shell out an extra $99 for the Surface Pen and another $100 for the Surface Keyboard. It has a vibrant and bright PixelSense display. The Surface Go gets Windows Hello facial recognition for authentication and security. However, the tablet is held back by a not-so-great battery life and average performance. The base model runs Intel Pentium with 4GB RAM and 64GB of internal storage. The Asus ZenPad 3S 10 is a 9.7-inch Android tablet with a beautiful design. Priced at $299, the tablet has an aluminum shell, a vibrant display, and excellent audio. It is powered by 4GB RAM and MediaTek MT8176 Turbo processor, delivering a snappy performance. It deserves a place among the top 10 best tablets out there. However, it’s held back by a below-average battery life, not so good cameras, and an older Android 6.0 Marshmallow software. The 8-inch Lenovo Yoga Tab 3 is an affordable tablet with an incredible battery life of up to 15 hours. It has a built-in kickstand and a colorful display. It features an 8-megapixel camera that rotates 180 degrees, serving as both front and rear camera. The tablet gets a massive 6200mAh battery. However, it’s a little underpowered with just 1GB RAM and Snapdragon 212 processor. It’s suitable for media consumption. With a starting price of $649, the Galaxy Tab S4 is a little more expensive than other Android tablets. However, it’s worth the price. The Tab S4 supports Samsung’s DeX mode, which gives you a desktop-like interface. It gets an improved S Pen stylus and Samsung’s keyboard case (which costs $150). If you want an Android alternative to Apple’s premium iPad Pros, this is your device. The tablet features a 10.5-inch display, 4GB RAM, and Qualcomm’s powerful Snapdragon 835 processor. It delivers up to 10 hours of battery life. The 8th-generation Amazon Fire HD 8 tablet is one of the cheapest and best tablets you can buy. It has the same processor, design, and features as its predecessor, but it gets an improve camera. The Fire HD 8 also offers the “always-ready” hands-free Alexa feature. The display is great and the pricing is attractive. It packs 1.5GB RAM and a quad-core 1.3GHz processor. However, it lacks Google Play apps and the battery life is lower than expected. The latest iPad mini is one of the most powerful small tablets you can buy right now. With a starting price of $399, the 2019 iPad mini offers a beautiful 7.9-inch Retina display with True Tone technology. Apple has also added the Apple Pencil support. Though it has a dated design with thick bezels, the iPad mini runs an insanely powerful A12 Bionic chip. It offers up to 10 hours of battery life. The tablet has a 7MP FaceTime camera on the front and an 8MP snapper on the back. It retains the Touch ID fingerprint sensor, Lightning port, and the 3.5mm headphone jack of its predecessor. The 9.7-inch iPad from last year is still one of the top 10 best tablets in the world. Designed for students, this $329 tablet has a gorgeous display, a powerful A10 Fusion chip, and Apple Pencil support. It also offers access to immersive augmented reality apps. The tablet delivers up to 10 hours of battery life and its 8MP camera takes excellent photos. The iWork suite also makes it a good productivity tool at an affordable price. The latest 10.5-inch iPad Air has a gorgeous 2224 x 1668 Retina display with True Tone technology. Priced at $499, it runs the A12 Bionic processor and supports Apple Pencil. Unlike the Pro models, it has thick bezels at the top and bottom and its cameras are the same as the 2019 iPad mini. The tablet retains the 3.5mm audio jack, Lightning port, and the Touch ID fingerprint sensor. Its display and processing power make it a good choice for editing photos and videos, watching movies, creating slideshows, and multitasking. It also supports Apple’s original Smart Keyboard. If there is one tablet that could fully replace your laptop, it’s the Surface Pro 6 from Microsoft. The latest Surface Pro looks nearly identical to its predecessor, but it gets an upgraded 8th-gen Intel Core processor and a longer battery life. The tablet comes with a vibrant 12.3-inch PixelSense display, an 8MP rear camera, a 5MP front snapper, and up to 16GB of RAM. If you want to take full advantage of its capabilities, you have to buy the Surface Pen and the Surface type cover. The latest iPad Pros come in 11-inch and 12.9-inch screen sizes. They both offer a bezel-less design, Face ID technology for security, great audio, an improved Apple Pencil that attaches magnetically to the tablet, and up to 13 hours of battery life. They run Apple’s custom A12X Bionic processor that makes them more powerful than most desktops. Apple has replaced the Lightning port with USB-C. The iPad Pros are beasts only held back by the iOS software, meaning they lack touchpad.